– US Letter & A4 size format included. – Mac & PC Compatible using MS Word. Once you’ve added an item to the cart, on the right, click Apply the store discount code on Total Items. Enter the coupon code and click Apply. The discount code will adjust the total amount of the order. With this purchase we INCLUDE our RESUME WRITING GUIDE where you can find lots of tips and examples to write your best resume. Also you will find tips to successfully face your job interview. Most employers require applicants to submit a resume. Without one you may not get considered for the job. 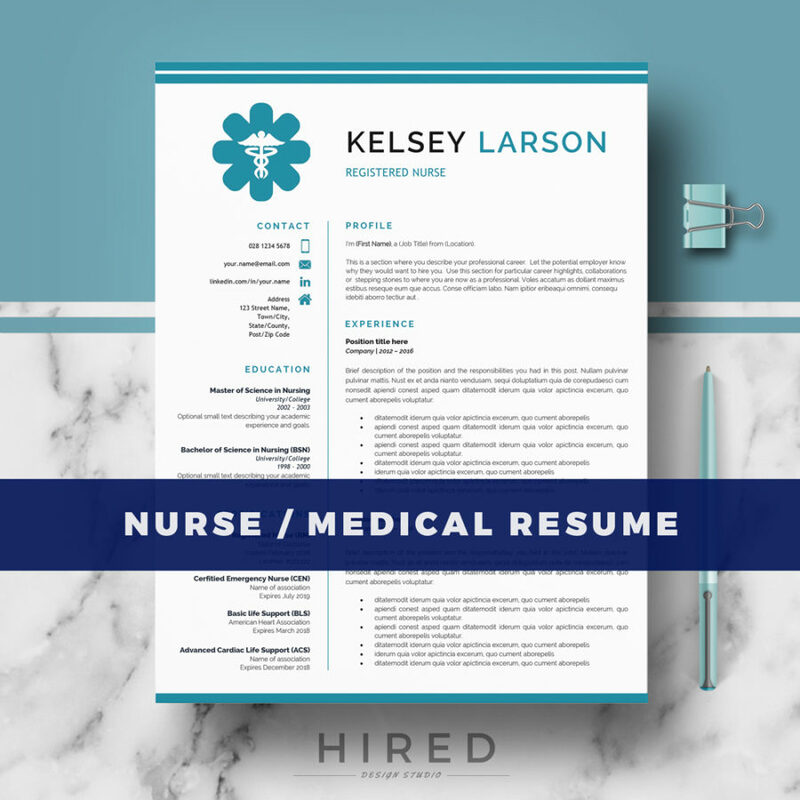 A well-written resume will show employers how your skills, experiences and qualifications can contribute to the workplace and meet their needs. They look for a specific set of skills that match the skills necessary to perform a particular job. A well-prepared resume shows employers you are serious about finding a job and should get them interested in calling you for a job interview. Employers receive many resumes and are usually in a hurry. They don’t spend time on resumes that are hard to read, sloppy or incomplete. The average amount of time that an employer spends looking at a resume is 20 seconds. If you think about how long 20 seconds really is, you don’t have a lot of time to waste! 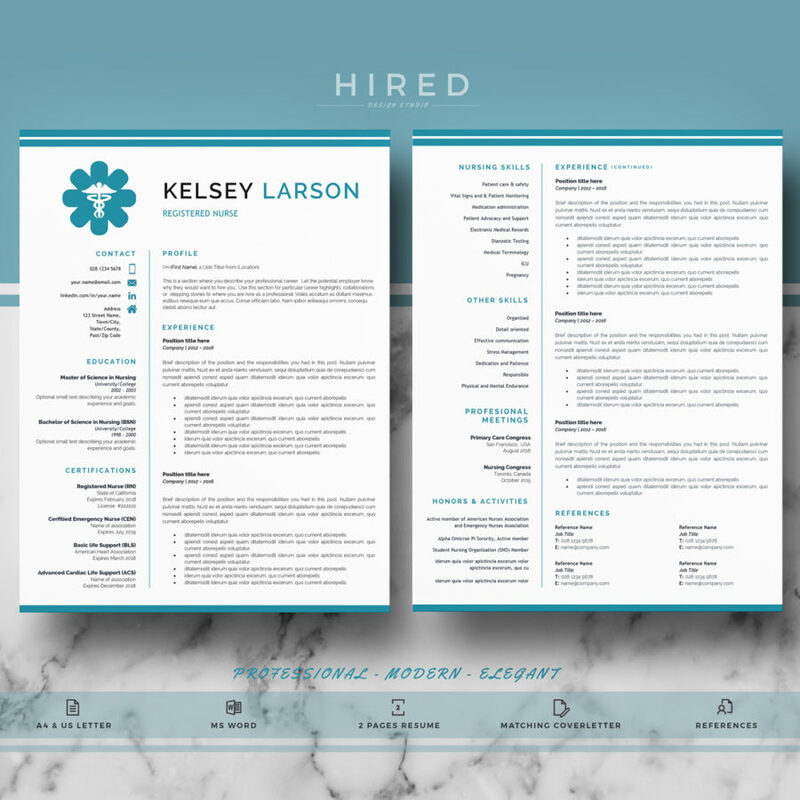 Every second counts, so make sure you design a resume that looks great and grabs your reader’s attention. Creating a winning resume can make the difference between ending up in an employer’s “to be interviewed” pile or the “not interested” pile. Remember, YOU NEVER GET A SECOND CHANCE TO MAKE A FIRST IMPRESSION. 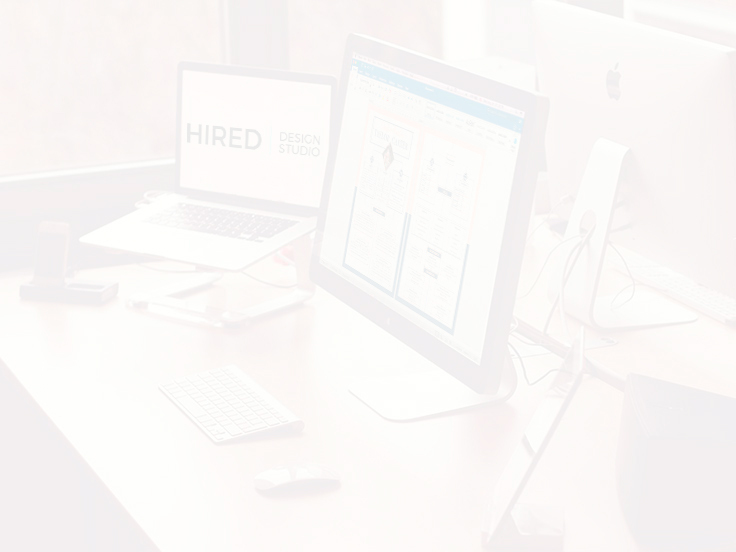 With the “Hired Design Studio” templates and tips, you will greatly increase the chances of getting an interview and getting hired. Our resumes provides an overview of your background and also outlines specific accomplishments and experiences. 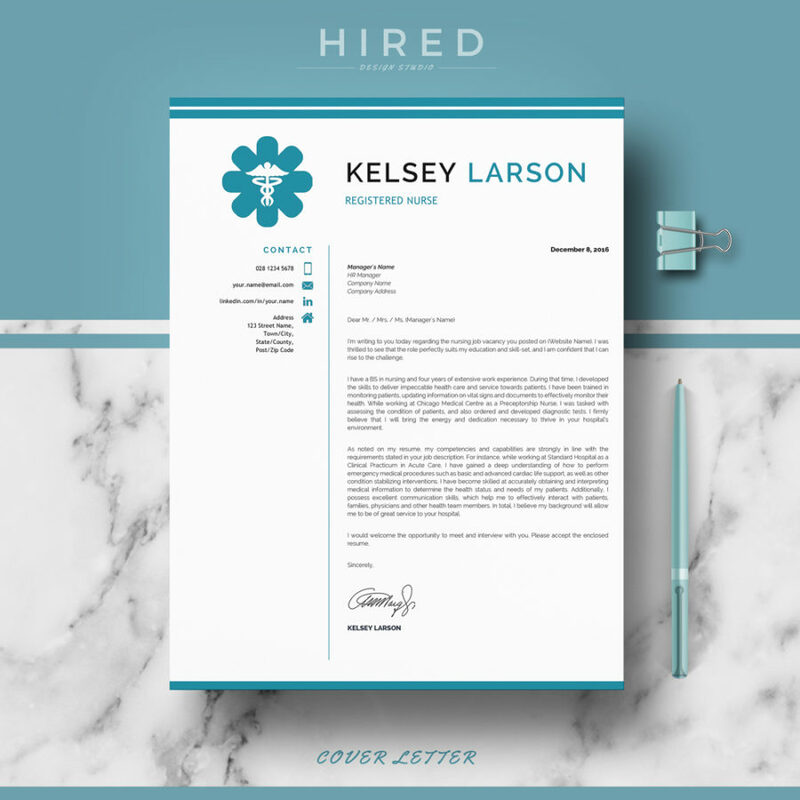 The PURPOSE of our templates and the resume writing guide is to help you create a resume that will keep you running, and to motivate a potential employer to call you for an interview. 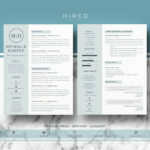 …So, start creating your best resume with our templates and tips. – 1-2 pages resume template in .docx format ( in A4 and US Letter ). – 1 Matching cover letter template in .docx format ( in A4 and US Letter ). – 1 references page template in .docx format ( in A4 and US Letter ). – A list of all the necessary fonts, plus links to download. 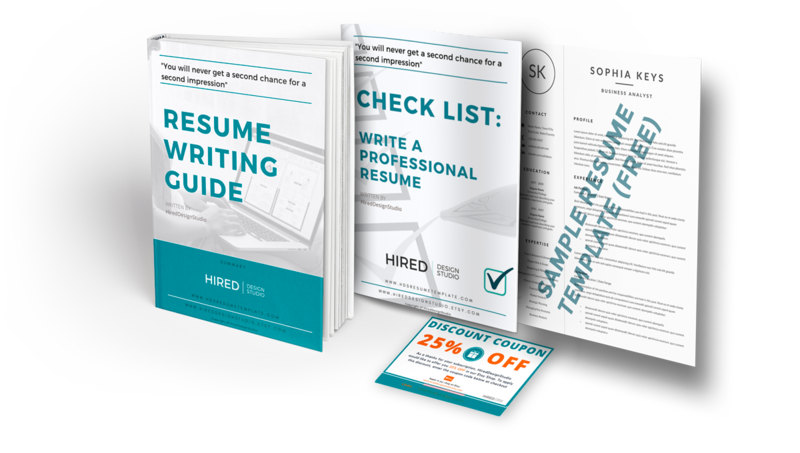 – 1 Resume Writting guide including samples and tips to write your resume correctly. – More than 100 extra icons including social media, interests/hobbies & contacts LinkedIn, Facebook, Twitter… Colors of icons and everything else can be changed. Anything can be deleted or moved. – Customer support. Need help? 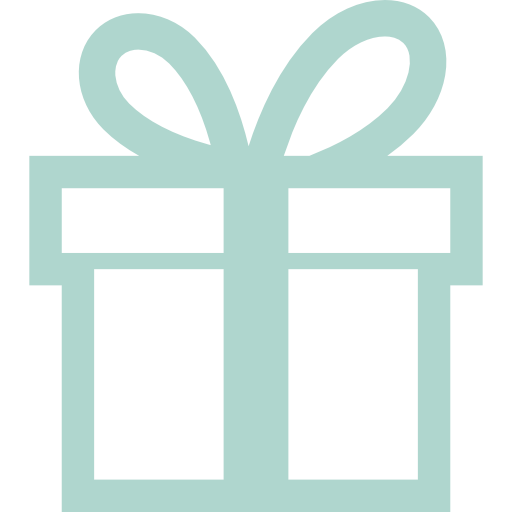 Drop us a message!All content is packaged in three zip files to which you will have access in the download area. 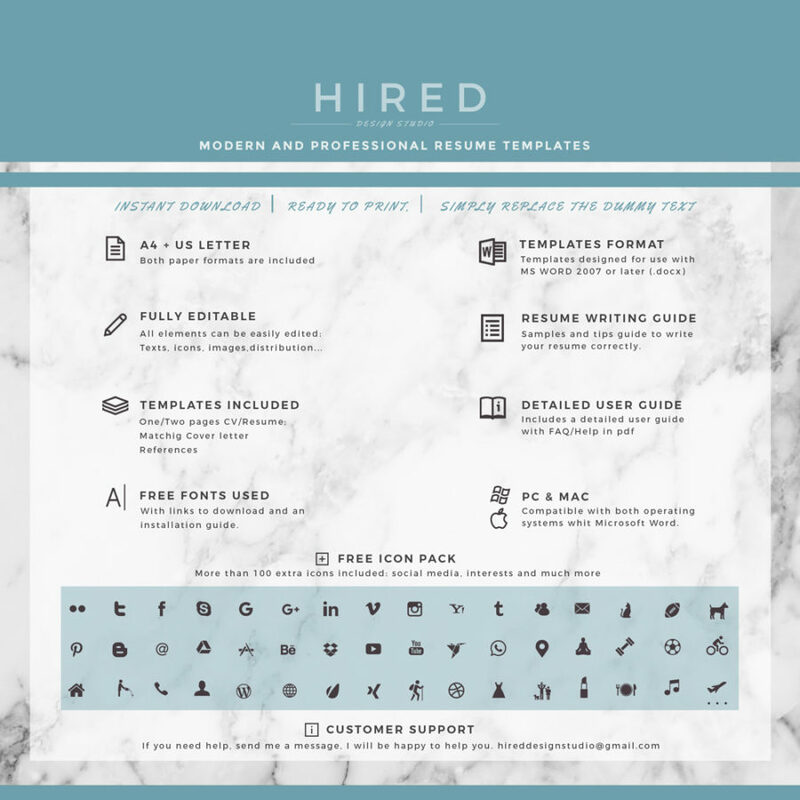 Each element on the resume template has been designed in separate text boxes so that it can be easily moved, copied, or removed. Simply click on the text and start typing over my dummy text. Templates are do-it-yourself. – Personal computer (PC or Mac) and basic computer skills and MS Word. – Microsoft Word 2007 or later ( for Mac or Windows ). If you don’t have it, don’t worry, You can download a free trial of the latest versión of Microsoft Word here: http://products.office.com/en-us/try. – Unzipping software to open up the zip file you will download. * NOT compatible with OpenOffice, Google Docs, or anything other than the real Microsoft Word. 1. Add the desired resume template yo your cart. As soon as your payment goes through, Etsy will email you a link to download your file or download your file here: etsy.com/your/purchases. Remember that You can apply the discount codes if you want more than one template. 2. Download the ZIP files ( All content is packaged in three zip files to which you will have access in the download area: https://www.etsy.com/help/article/3949?ulsfg=true ). 3. Install the required fonts ( A list of all the necessary fonts, plus links to download is provided ). 4. Before you start editing the template, we recommend you read our resume writing guide. This will help you write a targeted resume for each job you apply to. 6. Fill in your own information (Simply click on the text and start typing over my dummy text). 7. Save file as PDF. If you need the Instructions to do this, they are in the “Detailed user guide with FAQ/Help” file, includede in this purchase. 8. Email / Upload or Print it on any printer. 9. Start preparing the interview. I’m sure you’ll soon have one. Inside our Resume Writting guide, Also you will find tips to successfully face your job interview. All designs are copyright and original to Hired Design Studio. Template designs are for personal use only and may not be resold or redistributed under any circumstances. Hi There! We are Siilvi and Paul, the founders of Hired Design Studio. 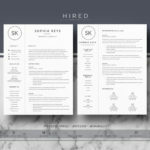 We welcome you to our web, the place where the knowledge in human resources is mixed with an exquisite graphic design to generate resume templates. A second chance to make a good impression? What format should my Resume have? Why should I write a resume?